Exercising on a Stepper gives you a great cardio workout while building your leg strength. An adjustable resistance controls the step rate. You can take it slow and focus on building leg strength or crank it up and give your heart a great test. The stair stepper - stair climber has been around for many years and is a classic piece of exercise equipment. 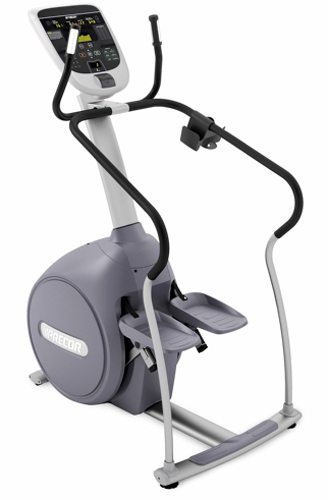 We carry steppers from Precor and BH Fitness, both excellent manufacturers of durable fitness equipment. Smooth motion gives you a great feel and informative display consoles give you motivation to keep going! Give us a call or send a quick email with any questions you have and thank you for considering FitLine Fitness Equipment.